Do you have halitosis? If you’re not sure what that is, it is the medical term for persistent bad breath. If you do, it’s important to get to the root of the cause of it so you can have it effectively treated and ultimately eliminated. Feather Touch Dental dentists are committed to helping you with your halitosis while you feel at ease with the level of care and expertise you receive under our care. If you have mild or occasional bad breath there are fall foods you can add to your diet this season that will help. Remember that eating seasonal foods means you’re consuming fresher, tastier and more nutritious foods than if you were to consume them out of season. 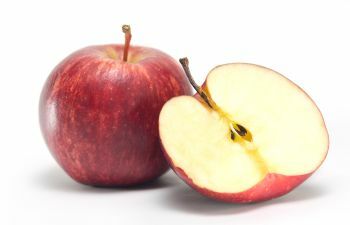 Apples are in season in Georgia from roughly July through November. There are more than 7,500 varieties grown around the world and they provide around 4 grams of fiber and 145 of our daily-recommended Vitamin C. Apples help remove plaque from your teeth and generate more saliva. Both are natural ways to battle your bad breath. Mint is in season May through early November in Georgia. Mint has been used for centuries to treat a variety of ailments. It’s also helpful in the battle against bad breath. By chewing mint leaves you help scrape odor-causing bacteria from your teeth. It will also leave that minty-smell behind in your mouth for fresh breath. Carrots aid in oral sanitation as well. They are high in beta-carotene. They are in season in Georgia from October through June. They sanitize your mouth, esophagus and stomach, which can help, relieve your symptoms of halitosis. If you or a family member is experiencing ongoing bad breath, call us at Feather Touch Dental Care in Atlanta today.